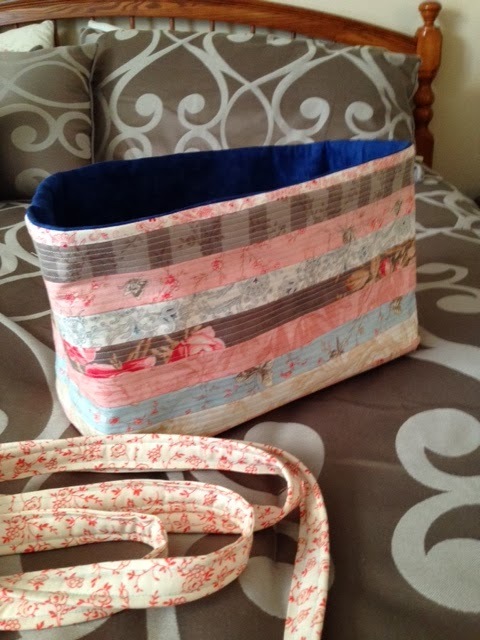 This is the tote bag I made for my mom - first time I've attempted anything like this. I didn't sew the straps on, because I didn't like them! My mom can figure out what she wants to do with them!! But, I was pretty impressed with myself for doing this and making it look pretty good. There are obviously some issues with it, but hopefully no one will look too closely at it! !